Here are your 2019 Unsung Hero Nominees! Sherry is a mother of two children and a social worker with over 20 years of experience. Her expert areas include mental health, alcohol and drug abuse, child welfare and HIV care. She is currently working as a Licensed Advanced Practice Social Worker at a global medical facility. Beyond maintaining a full-time schedule, she has founded a non-profit organization. As a survivor of domestic violence, Sherry felt a need to establish Bee TrU, a 501c3 that has been educating communities for 3 years on its mission: to Bee TrU to yourself before you can be true to others. Sherry is devoted to the encouragement of others as they pursue their goals through her powerful motivational speaking. Her life’s mission is to increase empathy and family support to underserved populations and youth. In addition, her son and daughter are her number one supporters. Sherry believes parenting shapes children into adulthood and she incorporates each of the protective factors into every area of her life. Magnolia's grandson was receiving services from the nominating agency for his emotional outbursts and behavior when his mother's work schedule began preventing her from attending the sessions. Magnolia saw an opportunity to add herself to the equation and stepped in to ensure that her grandson received the best possible care. She was diligent in learning the skills to help her grandson learn self-regulation, emotional regulation and healthy coping life skills. During the sessions, Magnolia actively listened, asked questions and participated in role play activities that were taught to her grandson. She would then take the lessons and walk her daughter through the skills to ensure that the new skills were incorporated in the daily routine at both households. She also took the time to process her grandson’s past traumas to understand how it changed his developmental mindset. Her increased awareness, teachable spirit and willingness to learn has fostered and facilitated a healthier and stronger relationship between her grandson, his younger sister and their mother. The family's bond has grown stronger as Magnolia continues to be the catalyst for a healthy changes in the family’s dynamics. When Kim's youngest daughter was diagnosed with an incurable macular degeneration disease called Stargardt's, she requested supportive assistance in locating and accessing resources for her child. She took the lead in researching the cause and possible treatments for the disease and quickly proved to have inherent leadership abilities and personal strengths which helped put in place multiple resources for her daughter. Since that time, she has been instrumental in advocating for her daughter to have every academic assistive visual tool available to insure her success in the classroom and will soon be completing the 504 process to insure her academic success in college. She has been willing to share information with other parents who are learning to navigate the IEP process for their children. Additionally, Kim has invested her time and resources to support other families working with her nominating agency. She appeared on WRCB's 3 Plus You Life Style show, a television program in Chattanooga with host Jeb Mescon to talk about her experience as a mom with a special needs child and to help inform the Chattanooga area about available services to families. 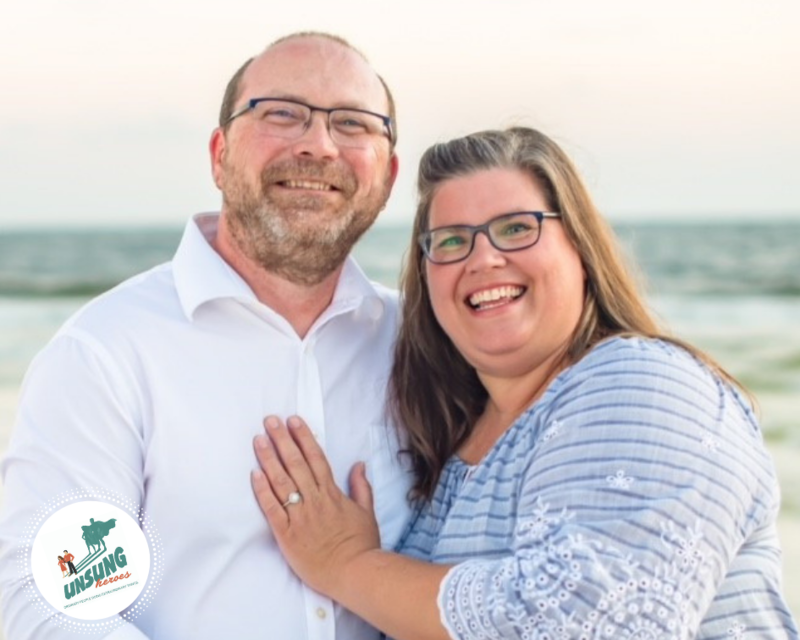 Despite the challenges of parenting a child with special needs and caring for two other children attending college, Kim managed to go back to school to study nursing and is now employed with Blount Memorial Hospital. Bella goes above and beyond not only for her children but also for her nominating agency. 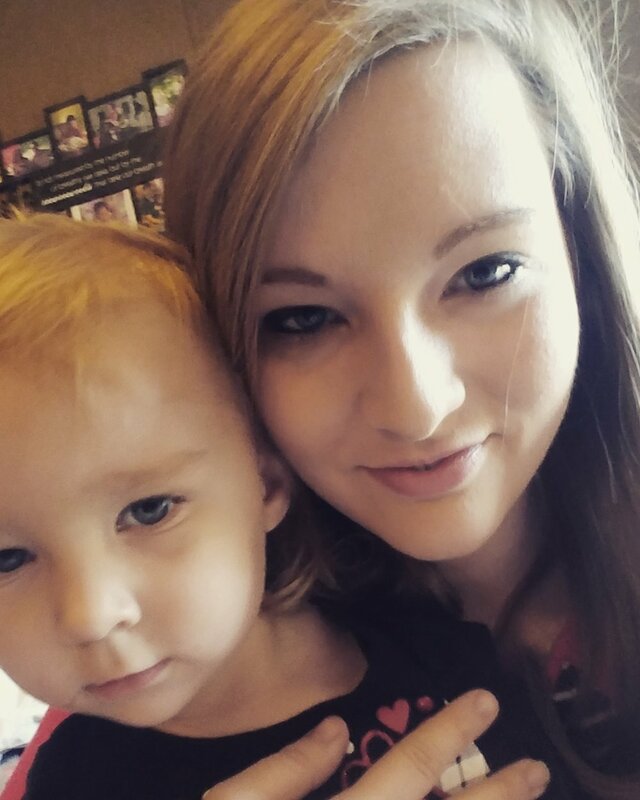 She enrolled in Healthy Families Tennessee, a family support program in Davidson County, in 2015 while she was pregnant with her first baby. Her nominator writes, "Bella met with me each week throughout her pregnancy and worked closely with me throughout her journey. Each visit I was blown away with the amount of dedication she invested in learning all that she could about her new role as a mother, doing research on topics discussed in visits, incorporating prenatal yoga into her routine, and advocating for a home birth. She has also taken the time to do several things to help the organization's mission. 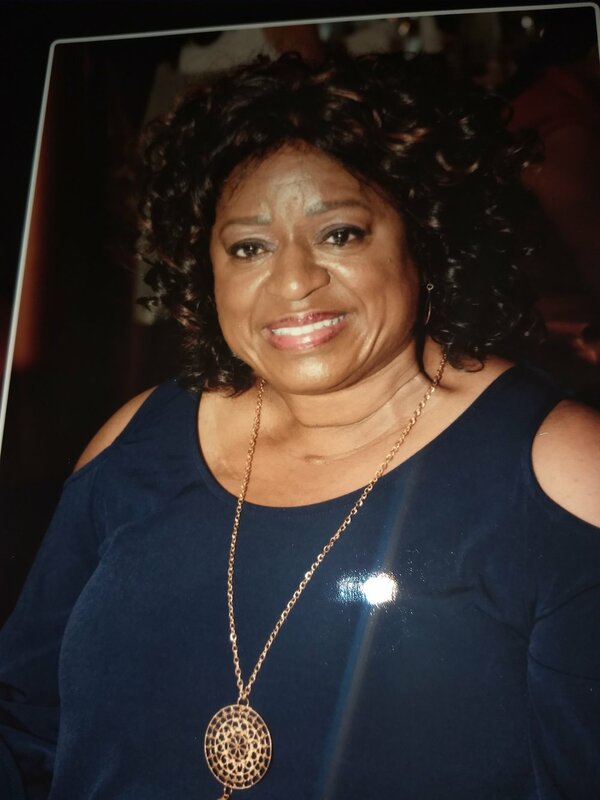 She participated in the 2018 video for Healthy Families Tennessee, has written thank you letters to donors, and has shared her experiences with people all around the country; encouraging them to find their local HFA program and sign up to join the program." Bella is now a participant in another family support program and has recently joined the Tennessee Parent Leadership Team. Tori is a single mother of a ten-year-old boy with global developmental delays and multiple physical disabilities including total blindness, complete hearing loss and autism. Ricky was adopted by Tori five years ago after his biological mother, who traveled from Ghana for medical and therapeutic care, realized that his best opportunity for improvement was for him to be adopted by someone in the United States. When Tori adopted Ricky, she believed he would eventually learn to walk and perhaps even be able to understand language and speak. With this as her dream, Tori faced miles of red tape and tirelessly sought to get medical insurance and other necessary resources for Ricky - even when faced with initial denials. Although Ricky received a Cochlear Implant and is receiving speech therapy, the implant has not functioned properly, and Ricky has not learned to speak. However, Ricky is now receiving regular physical and occupational therapy and has received equipment such as a gait trainer and a wheelchair to assist with his mobility. Ricky has not begun walking, but Tori continues to work with him to increase his strength. Tori has honored her commitment to parent Ricky, and every decision she is called to make on his behalf is made with careful consideration about its impact on her son. While Tori would never consider her actions heroic – but simply see them as the actions of a mother who loves her child – her nominating agency has witnessed her face these challenges courageously and heroically and is proud to recognize her as a hero. In September 2017 Michelle Williams’ younger sister passed away unexpectedly, leaving behind 3 children, ages 13, 11, and 8. Michelle had already raised 3 sons, all adults at the time of her sister’s death. She was not anticipating being a mother again, but she stepped into her role without hesitation. Ms. Williams sister had a substance abuse problem and her boyfriend was violent. On the morning of Ms. Williams sister’s death. A neighbor called Ms. Williams to alert her of her sister’s passing. The boyfriend had sent the children to school that morning, even though they had discovered their mother’s body when they woke that morning. Ms. Williams’ support system has been comprised of her adult sons and their families, her church, and her pastor. They all stepped in to help to ensure there was a smooth transition for the children and to ensure they did not suffer any more trauma. Ms. Williams understood the importance of getting the children professional help with the trauma they suffered while living in their home. She immediately got the children counseling to deal with the loss of their mother as well as the trauma suffered in the home before the passing of their mother. She pursued legal custody through Juvenile Court and was awarded full custody months after the death of her sister. Even though Ms. Williams has endured threats from her sister’s boyfriend, Ms. Williams continues to take necessary steps to ensure the safety of the children and to make sure the children were well cared for. Teachers and neighbors have all commented on how much better the children look and how much happier they seem since being in her care. She has created a daily routine for them, and balances structure and discipline with love and encouragement. She is truly an unsung hero, taking on her sister’s children when she did not have to do so, and parenting them with devotion and purpose. She has made it her mission to raise them in a loving, caring, and structured home. She is succeeding and so are the children. The Memphis Child Advocacy Center would like to nominate Ms. Michelle Williams as our Unsung Hero. She is truly the example of what it means to be an Unsung Hero. She embodies the protective factors the one must possess to keep children in her life safe. "Never heard of anything like this…It’s stranger than fiction," a Memphis homicide investigator reported. When Linda was unable to reach her sister, Sony, for several days, she decided to take the lead in the search and was adamant that local investigators prioritize her sister's disappearance. After several days, Linda welcomed Sony's four young children into her home as they waited for her sister to be found. Unfortunately, Sony's body was discovered several months later hidden under the bed at local hotel. Sony's boyfriend and the children's father became a prime suspect, so Linda immediately requested that all four children remain under her care. Understanding the traumatic effect this would have on the family, Linda sought help from a local agency and enrolled the entire family into their family therapy programming. All four children have remained in Linda's care since their mother's death in 2010 and the eldest is expected to graduate this May with a 4.0 and multiple scholarship offers. Linda has volunteered to share her story publicly through her nominating agency and hopes that it spreads hope to other families that are currently suffering. A devoted volunteer for her nominating agency, Miranda is known for her kind words and her beautiful, caring smile. Miranda is thankful for the support she received when she lost a son at a young age, so she has dedicated her life to serving her community and child-serving organizations. She reguarly drives fifty miles one-way to support her nominating agency while still supporting her children and grandchildren. She approaches everything she does with empathy and priotizes giving back to Tennessee communities. She also volunteers daily at the local Boys and Girls Club of Brownsville, where her husband serves as the director. As a former Teacher of the Year in the state of Tennessee, she specializes in teaching and molding character to youth. Paula was raised in the presence of love, affection, and drug addiction. As a child, Paula was unaware of the effects of her mother’s addiction but as she grew older, her relationship with her mother became very strained. The addiction grew stronger and with it, so did the tension between them. Paula watched her mother change into a person she did not know. She even tried to have Paula placed in in-patient programs, telling people she was an unstable child. Paula remembers how difficult this time was for her because she felt like she had lost the loving mother she knew. After Paula gave birth to her daughter, she struggled severely with postpartum depression and anxiety. Paula was terrified of hearing her daughter cry because she felt like it meant she was inadequate. Paula experienced so much pressure from her own expectations for herself as a mother that she contemplated leaving in the middle of night because she didn’t feel like she could cope. Paula was brave enough to share what she was going through. She spoke to her Healthy Families home visitor about what she was experiencing. They were able to talk together about postpartum depression and for the first time, Paula had words to describe what she was feeling. Paula’s home visitor connected her with resources to support her and Paula began to take effective steps to overcome her depression. Resilience is not something you are born with. It is something you build. Over time, as life comes at you with blind sides, curve balls, and every other unexpected hiccup, you dig deep to find the unexplainable strength every parent has; you find your own resilience and you overcome the impossible. Paula made the decision to be a different kind of mother for her daughter. She is letting her love for her child and her desire to give her the best life give her strength through the struggles and pains of her past. Wanda is no stranger to the power of support. As an active member of our Healthy Families program, she hardly ever misses a home visit. She has seen the positive impact of home visiting in her own life and wants to share that with others. 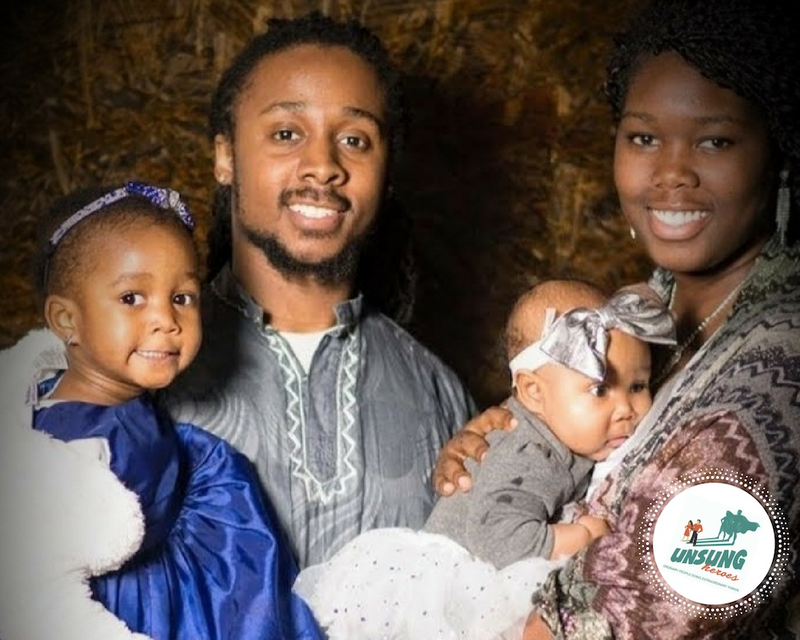 By attending events such as our Community Baby Shower and our Parent Connection Parties, she shares her caring spirit with people she would have never met outside of PCAT. It is this devotion to sharing kindness that makes her an Unsung Hero. Her generosity extends beyond her own personal struggles as she refers families to the program and donates items like baby clothes, breast pumps, and so many other things to families in need. Parents like Wanda are the hands and feet of this program. She is compassionate. She is real. She is a mother and she is giving her child a great childhood. Humility. Empathy. Commitment. Courage. These are just a few words to describe this champion for children. Jennifer first opened up her home to foster care in March of 2017. Since then, she has welcomed 16 foster children into her life and her heart continues to stretch. She and her husband are currently in the process of adopting 3 more children. Jennifer works tirelessly to fight for the ones who are too young to fight for themselves. With a devotion to emotional healing, Jennifer and her husband care for children experiencing various adverse childhood experiences. Jennifer understands the need for relationship, so she makes it a priority to first meet a child where they are at. She spends time focusing on a genuine connection with a child in order to build a trusting bond with them. With this bond in place, she is able to support their stability and foster growth towards a new norm that is healthy. Jennifer’s patience and compassion have brought her into schools, courts, and many other public arenas where she has stood up and spoken out for the lost and abandoned. We are honored to give our thanks to this Unsung Hero. Every adult who considers raising a relative child due to the biological parent's inability to provide care is an unsung hero, however Ms. Johnson has redefined this role. Ms. Johnson entered the Davidson County Relative Caregiver Program in March of 2010. At this time, she was already caring for her 11 years old grandchild and 2-year-old great-nephew. Ms. Johnson has become a peer mentor and advocate for other caregivers with children on the Autism Spectrum and regularly offers her experience and wisdom to new caregivers struggling to find their children the necessary tools they need to thrive. She uses her lived experience in navigating social and behavioral services to support other caregivers. She is a passionate advocate for individualized approaches and sees each child with their own unique set of strengths and needs. Ms. Johnson is an unsung hero because her passion, love, and dedication for children exceeds expectations and because of her, we are a stronger community and will have an even stronger generation of children who have access to resources necessary to share their story.